We present Scalea® Collection some marbles ranging from intense colors to lighter shades, all flooded with veins that are distributed winding mind the stone creating surprising combinations of colors. e-Deco Marble has selected a collection of granites under rigorous criteria of quality and beauty, highlighting the variety of colors and textures. Responding to new trends in design and interior design. 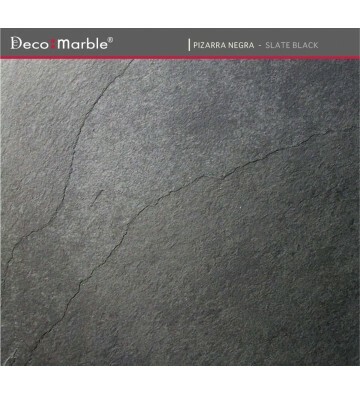 e-Deco Marble has selected a range of slates with natural finish that support multiple combinations in environments from raw to minimalists with simple formats to large pieces. BLACK SLATE presents clear black color, occasionally dotted with gray spots, the area is irregular and stratification planes giving rise to small bumps.